“Marriages are made in heaven, or so it is said. But we are more often than not made to wonder what happens to them by the time they descend to earth. Though there is legal machinery in place to deal with such cases, these are perhaps the toughest for the courts to deal with. Such is the case presently before with us.” (emphasis added) This is how a Bench of the Supreme Court consisting of D.K. Jain and H.L. Dattu, JJ., prefaced its judgment in the case of Hitesh Bhatnagar v. Deepa Bhatnagar delivered on April 18, 2011. Hitesh and Deepa got married in 1994. The following year they were blessed with a daughter. Sometime in 2000 due to “differences in their temperaments”, they began to live separately from each other and have been living thus ever since. In 2001 they filed a petition under section 13-B of the Hindu Marriage Act, 1955, seeking divorce by mutual consent. Subsequently, before the court could consider their case for a divorce decree, the wife withdrew her consent. This resulted in the dismissal of the petition by the district court. The High Court through its “well considered order” dismissed the appeal of the husband against the decision of the trial court. On further appeal, the husband again failed to get the desired divorce decree from the Supreme Court. One reason that applies to the resolution of matrimonial disputes generally is of course the inherent complexity of human nature and behaviour defying the application of set standard formulas. 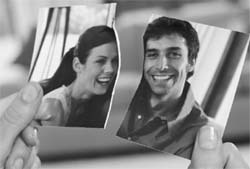 The other reason is the persistent misconceptions or misgivings about the very nature, scope and ambit of the remedy of divorce by mutual consent itself. The apex court in the Hitesh Bhatnagar case has not just decided the dispute but undertaken fairly an extensive survey of the law developed through judicial decision-making. A juridical analysis of this decision would, therefore, be instructive in unfolding the various nuances. The following misgivings often come into vogue. A close reading of section 13-B of the Hindu Marriage Act, 1955, shows that a divorce decree by mutual consent is not really a divorce decree by mere consent of parties. In effect, it is with the consent of the court. It becomes operational “with effect from the date of the decree” granted by the court and not from the date of filing of the petition “by both the parties to a marriage together.” To this extent, the expression “divorce by mutual consent” seems to be a misnomer. Literally speaking, it seems to imply that as there is “marriage by mutual consent” by taking seven steps around the sacred fire, say, in clockwise direction, so is “divorce by mutual consent” as if taking seven steps in anti-clockwise direction! Compared to the grant of divorce on grounds like adultery, cruelty, desertion, etc. under section 13 of the Act, the conditions for the grant of decree under section 13B are rather more stringent. Under the mutual consent provision, the parties intending to dissolve marriage are required to wait, not only for at least one year from the date of marriage, termed as the “trial period” under section 14 of the Act, but also obligated to show further that they have been living separately for a period of one year or more before the presentation of the petition, and during this period of separation “they have not been able to live together” as husband and wife. Besides, after filing the joint petition they must wait further for at least another six months, usually termed as the “cooling off period”. In short, mere filing the joint petition does not by itself snap the marital ties. After the lapse of six months, if the said petition is not withdrawn in the meanwhile either singly or jointly, both the parties may move the court by way of joint motion within the stipulated period of 18 months from the initial date of filing of the joint petition. The interregnum is obviously intended to give more time and opportunity to the parties “to reflect on their move”, give a second thought or otherwise seek advice and counsel from relations and/or friends for maintaining their marriage. For pursuing divorce by mutual consent, it is imperative that mutual consent should continue till the decree is granted by the court. In case, even if one of the parties to marriage withdraws his or her consent initially given, the court instantly loses the jurisdiction to proceed further and grant relief under section 13-B of the Act. In this respect, the Supreme Court in the Hitesh Bhatnagar case reaffirmed its earlier decision in Sureshta Devi v. Om Prakash (1991), which overruled the view of the High Courts of Bombay and Delhi that proceeded on the premise that the crucial time for giving mutual consent for divorce is the time of filing petition and not the time when they subsequently move for a divorce decree. The statutory expression “they have not been able to live together” under section 13-B(1) of the Act, is to be construed not just as a trite statement of pure volition. It bears a deeper connotation. It indicates, as the apex court has expounded, “the concept of broken down marriage”’ implying thereby that reconciliation between them is not possible. In this respect, the court is duty bound to satisfy itself “after hearing the parties and after making such inquiry as it thinks fit” about the bona fides and the consent of the parties, and then and then alone the court shall consider the grant of divorce decree. The purpose of the period of 18 months from the date of presentation of the joint petition under Section 13-B (2) of the Act is for re-think and reconciliation. If the consent is withdrawn by either party to marriage, the petition becomes instantly ineffective and is liable to be dismissed at the threshold on this very count. In view of the long separation of more than a decade from his wife, the husband, as a last resort, urged the apex court to dissolve his marriage by exercising its special jurisdiction under Article 142 of the Constitution. To buttress his claim he specifically cited a proximate decision of the Supreme Court itself – Anil Kumar Jain v. Maya Jain (2009) – wherein though the consent was withdrawn by the wife, yet the court found the marriage to have irretrievably broken down and granted a decree of divorce by exercising its special constitutional power. However, in the instant case the apex court refused to invoke its special power in favour of the husband mainly for two reasons. One, the special power is to be used very sparingly in cases which cannot be effectively and appropriately tackled by the existing provisions of law or when the existing provisions cannot bring about complete justice between the parties. Generally such a power is exercised neither in contravention of statutory provisions nor merely on grounds of sympathy. Two, the sanctity of the institution of marriage cannot allowed to be undermined merely at the whims of one of the annoying spouses, more specially in the situation and circumstances, as in the present case, wherein the wife has stated that she wants this marriage to continue “to secure the future of their minor daughter”. Invariably it is found that a petition for divorce on fault grounds under section 13 is replaced by the remedy of dissolution of marriage by mutual consent under section 13-B of the Act. This is advisedly done as if the purpose of the latter provision is to facilitate divorce by effecting compromise between the parties in respect of ancillary matters. This in our view is perhaps the most erroneous construction of the provisions of section 13-B of the Act. The purpose of the remedy of mutual consent, we repeat, is not to facilitate the dissolution of marriage, inasmuch as even the provisions of section 13-B are subject to the other provisions of the Act. Thus, to save marriage and not to hasten its dissolution should be the core concern of the court. Spouses may think of dissolving their marriage if they so fancy provided the court is satisfied that any of the grounds for granting relief exists, and that in court’s view it is not possible to make them reconciled! If the consent is withdrawn by either party to marriage, the petition becomes instantly ineffective and is liable to be dismissed on this very count. The writer is the Director (Academics), Chandigarh Judicial Academy. If the parties can agree on a resolution but would prefer to have a court order in place, this can be accomplished by filing a lawsuit on those issues and then having the parties and the judge sign a Consent Order. I need a clarification Please if any one can help- Can anyone can give divorce by mutual consent after giving birth to a baby girl (6 months old). what will the actual procedure ???????? plz help me. can anyone able to give divorce??? I am a male and I and my wife have been living separately since feb2009. We have a 5 yr girl. I have denied the right to visist my daughter previously and my wife is currently in dubai. I have written proof from her that she is in relationship with somebody else. Can I apply for divorce and will the ruling be in my favour without me having to pay any maintenance or support to my wife. Under what section of the law can i apply for divorce. every divorce on mutual consent is actually is forced divorce because it is one spouse ( who dominates other with power either by way of false allegation of crime or themselves are criminal minded) wish to discontinue family institution and force/compelled other spouse to be on safe side when no other ground of divorce is available. this should be banned and only available grounds must be used with circumstantial evidence. otherwise only judicial separation on mutual consent or by permission be allowed those who have child also. we applied on mutual consent. but at the time of decree my husband not coming for sign. what to do. he is already got married?